Medical Program: What Lessons Will We Learn from the Zika Virus? We heard a great deal about Zika, and we certainly talked a lot about it a couple years ago. It was, frankly, the leading news item day after day after day, but we haven’t heard a lot about Zika recently, and yet, it still is an issue, an issue that needs to be discussed and talked about. Hi, welcome to Primary Care Today on ReachMD. I’m your host, Dr. Brian McDonough, and with me is Dr. Jorge Garcia, Associate Clinical Professor at the University of Washington School of Medicine. First of all, welcome to the program. Thank you, Brian; nice to be here. I wanted to ask you a few questions about your view about Zika, where we are, where we’ve been and where we’re going. I’ll leave it with that open-ended question. Sure. I’ve fallen into, almost by accident, to become a bit of a Zika expert here in Seattle where I work. I have too many hats in my professional work. I am a doctor, family medicine doctor, such as yourself; I have a clinical practice; and I teach at the Family Medicine Residency in Seattle. And I also have my other hat, which is I’m a corporate medical advisor, and I do consulting for International SOS. And about 2 years ago, ’15, ’16, suddenly Zika crashed in both of my worlds. My name is actually Jorge Garcia. I’m Brazilian, and so I have a lot of Brazilian patients and South American patients, and a lot of my patients were coming from trips to Brazil pregnant and extremely worried about this brand new thing that was yielding babies that have microcephalus and all kinds of other neurologic problems. There was a lot of unknowns but a lot of worry. And at the same time, my corporate medical advising clients, the big companies and schools and nonprofits that I advise medical issues on, they were worried about Zika. They didn’t know what this was, really. They were worried about having travelers go to Latin America and other places. They were worried about how to communicate this worry to their travelers, given that it’s something that is most dangerous for women, especially for women that want to conceive and become pregnant or are pregnant, so it’s a tricky thing to communicate with a lot of unknowns. And in both of my professional lives I was having to deal with Zika, so I had to dive into this problem and learn a lot about it. And Zika, just to go to the question that you asked, why was it a big deal 2 or 3 years ago, and why did we not know much about it or think much about it right now? So, Zika was one of these infections that… I’m sure you know this. These are infections that crop up all the time, things like MERS-CoV, Ebola, infections that are relatively new to the population that they are infecting, and therefore, that population is unprepared biologically for that organism. So, Zika, it has been traveling in the world for a while, but it landed in South America, and it found a perfect situation which had 2 conditions to spread. One were people that were pretty poor and didn’t have air conditioning and screens and good houses so they were being bit up by mosquitos a lot, and 2) they have no immunity, no protection against this virus, and so the virus spread rapidly and a lot of people became infected. It’s quieted down a bit, as you mentioned, because people have gained immunity, and so the population isn’t quite as vulnerable to being infected in South America and Brazil where the infection exploded in ’15 and ’16, but there are other parts of the world that haven’t seen much Zika, and in those places the other Zika outbreaks can and is occurring currently. You’re listening to Primary Care Today on ReachMD. My guest is Dr. Jorge Garcia. I apologize for mispronouncing your name at the beginning. And I think it’s really important that you bring the approach of a practicing clinician who more or less has come across this because of your patients and their concerns. How do you calm them down? I mean, what do you tell them about the risk? Because, as we all know, there are some frightening statistics out there. If you’re pregnant, are you going to travel to South Carolina [sic] or to the Caribbean or to Aruba, wherever? You’re always worrying about the potential of Zika. What do you tell patients? Well, you know, Brian, you yourself are a clinician. The thing about being a primary care doctor is you have to take on some of that worry from your patients and allow them to maybe worry more intelligently. You know, you can’t completely not worry, because this is a worrisome problem. A woman who gets infected with Zika for the first time and is pregnant—possibly worse in the first trimester—but she has a decent chance, a very decent chance of having a baby, if the baby survives to birth, that has significant neurologic problems. We know about the microcephalus. Babies that have heads that are less than a third percentile, small heads because they don’t have well-developed brains, these babies are obviously abnormal and obviously will have a very difficult life, but all of the other babies that look normal at birth, a lot of them now are being noticed to have problems as well. Now that these infants have reached a year, 2 years of life, they are being diagnosed with problems with vision, hearing, cognitive problems, developmental delay, so it’s a very serious thing and it needs to be worried about. So I guess it’s like anything, like any medical issue. You have to be intelligently worried and take some steps to avoid exposure. And then if you are exposed, you have to figure out what to do, to learn whether you may indeed have contracted Zika and whether it might have affected your pregnancy. It’s difficult, and it’s difficult for companies as well, because companies… Like I mentioned earlier, the issue of traveling, of travelers going to, let’s say, Brazil, or people that are stationed in Brazil or even national Brazilians that are working for this company, like what do you tell your population of workers and travelers? It’s a pretty disruptive thing to say you cannot go to this whole part of the world to do business, or if you’re stationed there, you should leave. And then the tricky thing is talking about it in terms of pregnancy, sexuality, conception. These are all things that are important to Zika and are tricky communications for companies, and so that’s the kind of thing that I help my clients do. Where are we now with it? I mean, I know how the media works, and certainly, there’s attention paid to things and it becomes dramatic and then things disappear, they go off the radar. Where is Zika in relation to where they thought it was going to be and as a real issue? Well, unfortunately, part of this problem with us managing and helping our patients and our clients with evolving novel in sections* 7:29 is that we often are working with kind of unknown. So, certainly when this was first breaking out, when Zika was first a problem for me, for my patients and for my corporate clients, the truth is I was working with a lot of unknowns. All of us were. So we were trying to learn as much as we could and help our people as much as we could help them but doing it with very little information. And that’s the usual thing in medicine, right? But there is a little bit more known now about Zika, but still, just so you know, I feel like we shouldn’t have too much confidence in anything that is said about Zika in the media or anywhere because the truth is very little is still known about this infection. But what happened is, when it first appeared in Latin America, it arrived in a continent with zero immunity, and so it spread rapidly. Now a lot of people had become infected and there are fewer people to allow this virus to spread rapidly. It’s still spreading, so it’s now an endemic disease, kind of like dengue. If you go to places that have these kinds of mosquitos, the Aedes mosquitos, you can get bit by a mosquito and contract a number of different infections: dengue, West Nile virus is like that, and Zika, a number of others. And these infections are now endemic to certain areas, meaning that the risk is not the huge risk that it was initially, but it’s still there, there’s still a risk, and you still have to be cautious. And once in a while the virus will arrive in a novel region, like it just did in India, and create a large outbreak, because there is no immunity in many parts of India because they haven’t seen Zika before, and so the Zika virus can do what it did in Brazil and spread rapidly in a population. Once the population has been infected—which is a kind of a natural vaccine you might say—the risk goes down. It doesn’t go down to zero, but it goes down, and that’s where we are now in a lot of places in Latin America. The risk is still present. 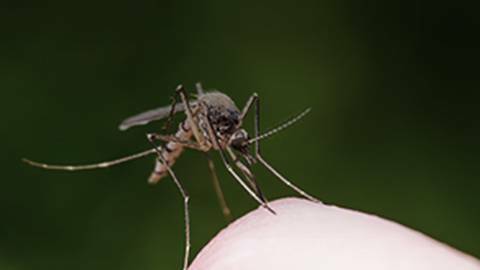 If you’re traveling to these places where you’re going to be bitten by these mosquitos, you are at risk of getting Zika, and if you are pregnant or intending to conceive in the next 2 or 3 months, that is a risk that you have to be very careful to be aware of and do everything you can to not be bitten my mosquitoes. You’re listening to Primary Care Today on ReachMD. I’m your host, Dr. Brian McDonough. My guest is Dr. Jorge Garcia, Associate Clinical Professor at the University of Washington School of Medicine. We are talking about Zika virus. I mean, there are so many things to talk about. What haven’t I asked you about that you think is important to discuss? I think that Zika, for me, it’s one of those eye-opening infections, because we were surprised by the onset of Zika and were devastated by the damage that it did to a large part of the population of Latin America. It was such a radical, terrible infection. I don’t know if you remember this. One of the health administers of a country in Central America that was seeing a large number of Zika cases recommended that the entire population postpone conception for 12 to 18 months. In other words, he told his entire people not to have babies for a year and a half, something that’s never been recommended in the history of humanity that I know of, so it was a pretty frightening, pretty terrible disease. But these kinds of things come up, I would say, regularly, and we need to be able to quickly respond and need to be able to manage these outbreaks so much more. Perhaps much more worrisome than Zika was Ebola in some ways, right? Ebola caused a huge amount of mortality immediately on contact with this virus. But there are all these other infections and viruses and microbes that are circulating the world and are emerging and are evolving and are changing and are presenting threats, and the big threat, the big thing that we all worry about is an influenza pandemic, something like the so-called Spanish Flu of 1918. And I think Zika was for me a wakeup call for how dangerous these novel microbes can be to humanity. We live very close to each other now. We live in tight quarters. We have a lot of populations that are very poor, that don’t have good sanitation, that have places where mosquitoes can breed easily, and the potential for explosive pandemic spreads of infections is only increasing every year, and we need to be prepared to manage those, to deal with those and to quickly control those infections. Yes, a question I wanted to ask you, which I’m sure a lot of the primary care doctors listening are thinking too, is: What about travel and the fact that we do live in a world now where people travel quite easily from one country to another, one part of the world to another, and the contribution of that? How do we stay up… You’re a primary care family doctor. How do you stay up with so many different potential issues that could come around the corner at any time? That’s an excellent question, Brian. Of course, my work as a corporate medical advisor and a consultant for International SOS is directly related to travel medicine. I do a lot of travel medicine for my clients, both my clinical clients but also my corporate clients, so I’m very much deeply involved with this issue and this question, but I think that for a traveler, a business traveler a pleasure traveler, they have to be careful. And I think a couple of things that people sometimes forget that’s worth remembering—one is, we all hate to get insurance. Right? We don’t want to get insurance that we’re going to never use, but you might consider getting traveler insurance, health insurance that’s going to help you if you get sick abroad, because being sick is never good and especially not good if you’re not in your home country with your own doctor, with your family to help you out. That’s one thing. And the other thing is to be quite cautious in getting medical care when you’re traveling, and that’s because often times in healthcare settings, just like it is in the United States, that’s where the most dangerous microbes exist. There are places in the world that are even more liberal in the use of antibiotics than we are in the United States, and they have multiresistant microbes. So a person can travel, let’s say, to a country in the world and end up with a urinary tract infection, something that would be very simple and easy to treat in the United States—you can treat it over the phone if you’re calling in an antibiotic for your patient—but in some places these microbes can be resistant to nearly all antibiotics. And you come back with what we think is a simple UTI, and the doctor gives you a normal medicine when you get back to Philadelphia, and the UTI doesn’t get better and you get sicker, and it’s because you have a multiresistant microbe from a different part of the world. So I suppose my advice would be make sure you have insurance and be really cautious exposing yourself to health care in many parts of the world. And if you do have to be seen, make sure your doctor knows where you were and what you had done when you traveled when you return. 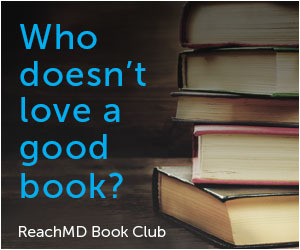 Dr. Jorge Garcia, I want to thank you so much for joining us on Primary Care Today on ReachMD. I appreciate your time and obviously your interest and also expert opinion on these issues. I think Zika is something that maybe has drifted to the back of some people’s minds, but we should be thinking about it and be looking at it from the angles you’re talking about. Again, thank you for taking the time to join us. It was a pleasure, Brian. I’m Dr. Brian McDonough. If you missed any of this program, you can download the podcast and you can hear it again in its entirety. Until next time, I’m Dr. Brian McDonough. The Zika virus may have disappeared from the headlines, but could it help us prepare for future outbreaks? Even though people have gained immunity to the Zika virus in certain parts of the world, Zika outbreaks can—and do—still occur. Tune in as Dr. Jorge Garcia joins Dr. Brian McDonough to discuss the who, what, where, why, and how of the Zika virus, the once headline-dominating epidemic.